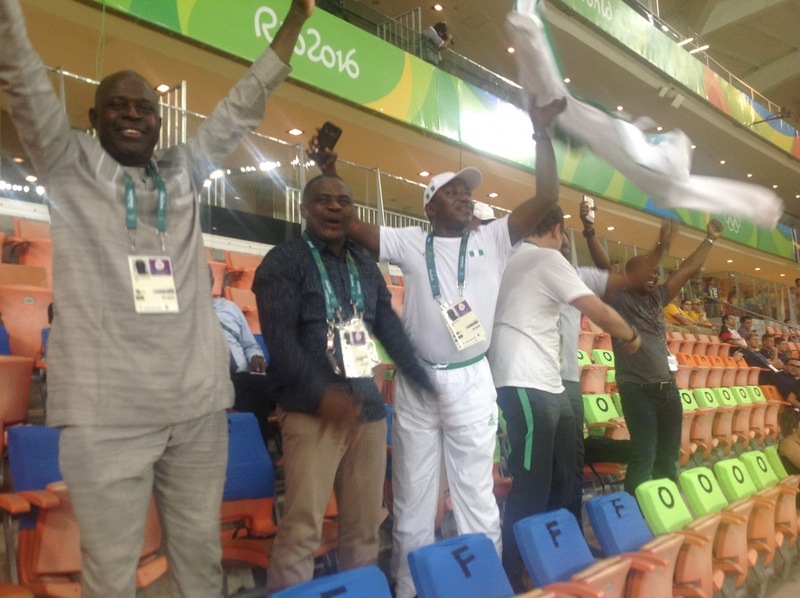 Nigeria’s Youth and Sports Minister, Solomon Dalung, has apologized to players and officials of the country’s Olympic football team for the circumstances that led to the contingent’s late arrival in Brazil for the Men’s Olympic Football Tournament Rio 2016. Dalung, a conspicuous presence in the stands as the 1996 champions pipped Europe’s best team Sweden in Manaus on Sunday night to reach the tournament quarter –finals with a game to spare, tendered his apology in the dressing room after the game at the Arena Amazonia. After hugging and exchanging pleasantries with players and officials, Barrister Dalung said: "I want to apologize for all the circumstances that led to your late arrival here. I apologize because I am the head and as such I must take responsibility for anything that happens under my watch. "I’m happy you all have put the unfortunate incident behind you and have shown that you are true heroes by making the country proud with your qualification for the quarter finals. This qualification is unique as you guys are the first team to do so in the football event." Speaking further, the Sports Minister disclosed: "I want to assure you that we appreciate your efforts, and I want to say that it's when a man faces challenges that his true ability is tested. I am sure we all have learnt our lessons and will take the lessons to heart going forward." Dalung then assured the players and officials that all bonuses and allowances due to them will be paid, as he recalled that the team faced similar challenges on the way to winning the Africa U23 Cup of Nations in Senegal last year, which qualified Nigeria for the Olympics. Responding, team captain Mikel John Obi assured Dalung that the team will not lose focus as their target is to win the gold medal for Nigeria. The Sports Minister was in company with Nigeria’s Ambassador Extraordinary and Plenipotentiary to Brazil, Adamu Emozozo and the Permanent Secretary in the ministry, Mr. Chinyeaka Ohaa.